Remember the old-school Fighting Fantasy games? They were a lot like Choose Your Own Adventure books with a dash of tabletop RPG mechanics thrown in to make things more interesting for older readers. If you said no, then you can get a taste for that classic genre on your favorite mobile device. 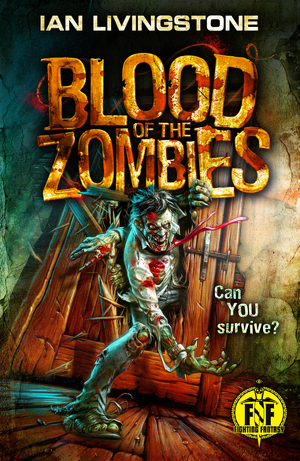 The guys at Tin Man Games, makers of Gamebook Adventures, have teamed up with Fighting Fantasy to bring legendary FF master Ian Livingstone's Blood of the Zombies to iOS and Android. I love seeing this sort of project flourish, especially with the backing of such legendary figures in the history of printed game books. As a long-time fan of game books and of computerized interactive fiction, it's great to see the genre entering such a revival in the mobile space. I've long thought that game books were perfect for the Kindle, and while they seem to be doing a lot better on the iPad, their adoption on the tablet side does mean they benefit from fantastic multimedia presentations that (for now at least) the Kindle simply couldn't provide. Check out the HD gameplay trailer for more if you're not sure you get the concept of a book that's a game that's a book, and let me know what you think!